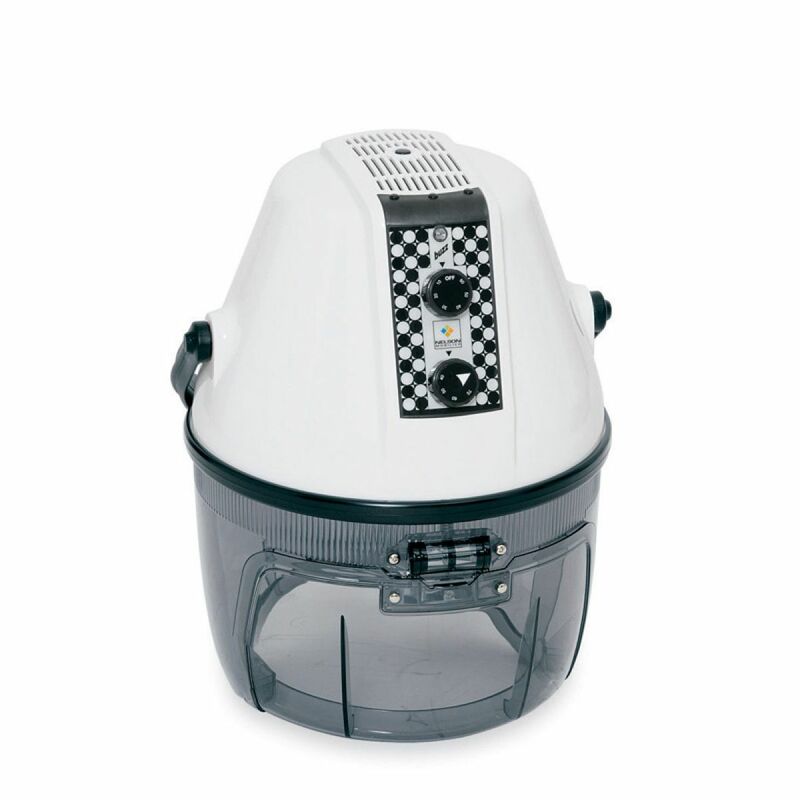 Hood dryer made of plastic, with double insulated nylon inner hood, bimetal thermostat and timer 60’. Standard colour: white. Without foot. 1100 W / 230 V.